I always get asked where you can get a top quality dress but without breaking the bank. I always recommend Timeless Bridalwear as not only did I sell my wedding dress with them but they also stock luxury brands with up to 70% off the rrp. 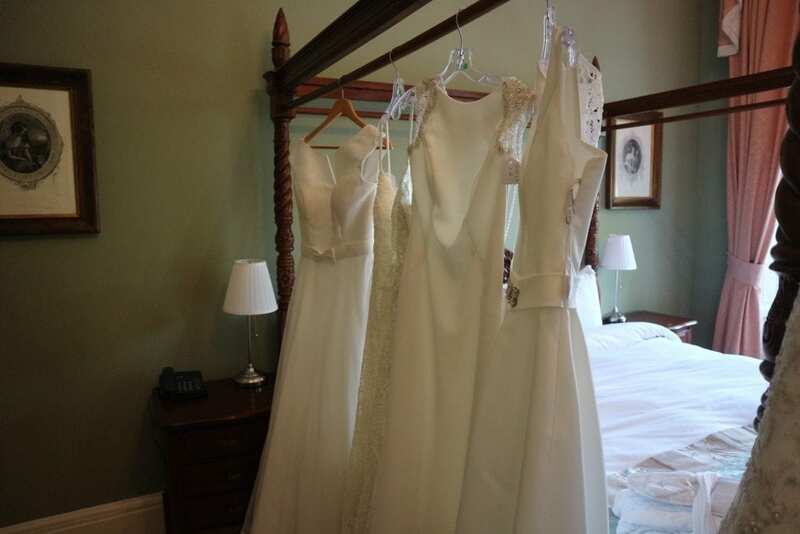 The majority of their stock is brand new from other bridal boutiques. I picked some of my favourite amongst their huge collection! I have showcased 3 amazing looks from top designers such as; Margarette, Watters and Pronovias. I struggled to get dow to 3 looks. Our first look is Margarette ‘Afrodyta’. This is a tailored cut with bateau neckline. It nips nicely at the waist and flows romantically in to a gorgeous ballgown. Our second look is from a highly sought after brand ‘Watters’. The Elise dress is beautiful on and such a comfortable wear. The gorgeous detail throughout the eyelash lace gives this dress its strong luxurious look. 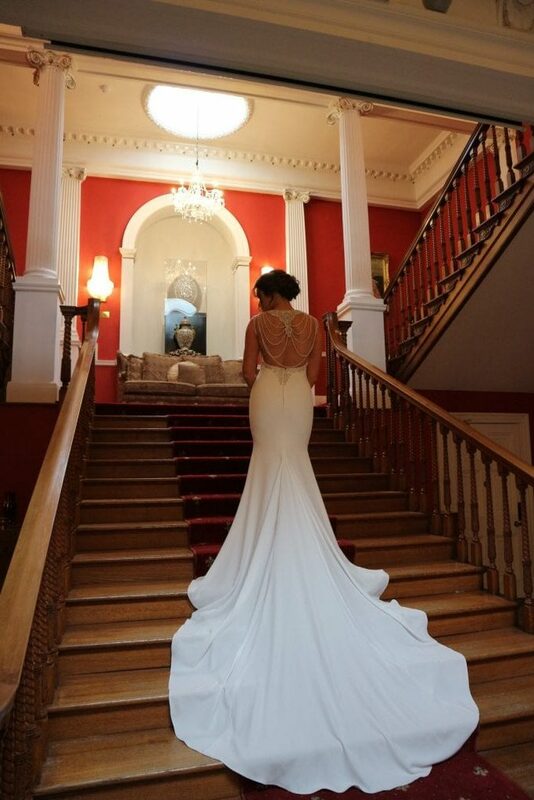 Our third and final look is by one of my favourite designers….Pronovias. What can I say about this look. Wow. The back gives me all of the feels. 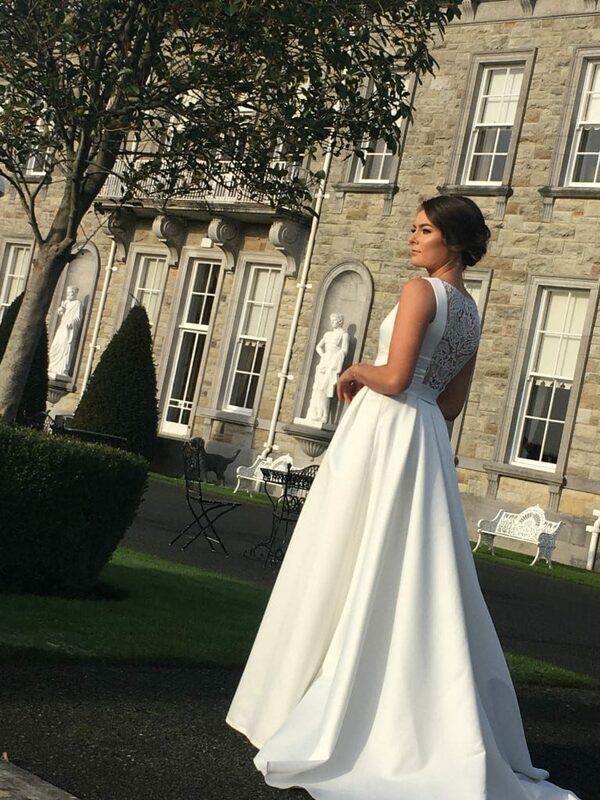 This open back has beautiful beaded detail and this is complemented by the very simple tailored gown.